James Hennessy was born in Ireland in 1832 and came to Chicago in the 1850s. He and his wife Sarah lived at 347 Sedgwick (now 1359 N. Sedgwick). James died in 1888 and is buried in Calvary Cemetery, Evanston IL. For further details, contact the Chicago Genealogical Society. 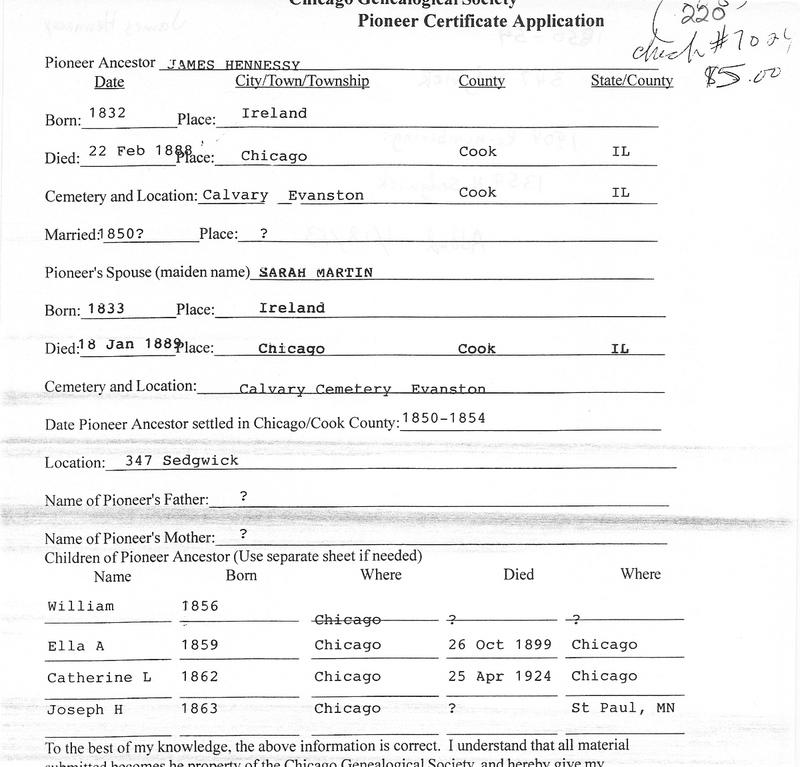 James Hennessy is Pioneer Ancestor number 208.